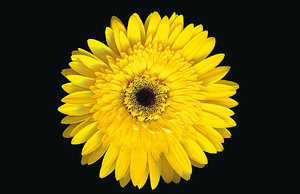 Beautiful Gerbera photo. Like that its on a black background. Gonna use it on FB in memory of the 10th Anniversary of the London Bombing's.